I am all done with parent conferences and it feels great! I had the most terrific year and I'm so happy to share my students' progress with their parents. During parent conference time, I always love to have lots of student work to display. 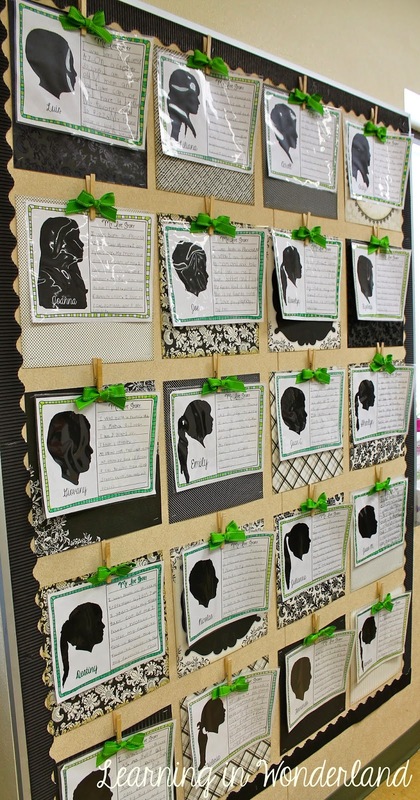 I absolutely love to incorporate student pictures into student work. 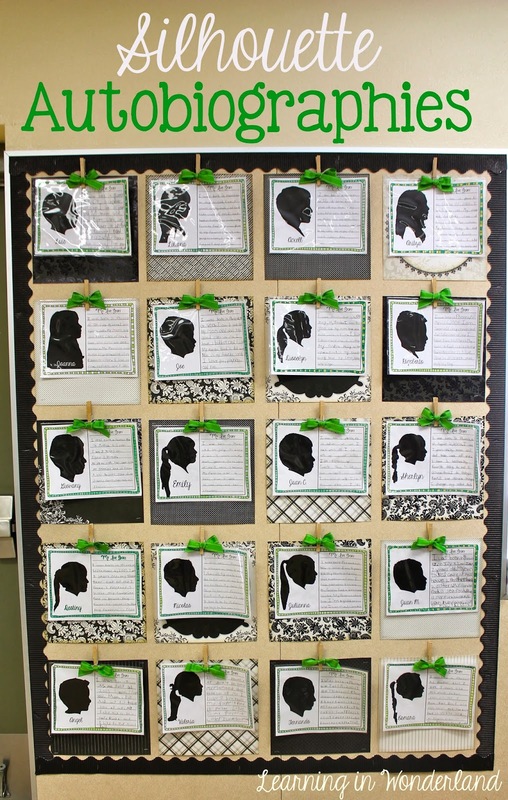 This year I decided incorporate biographies with my students' silhouettes. The results were absolutely perfect! 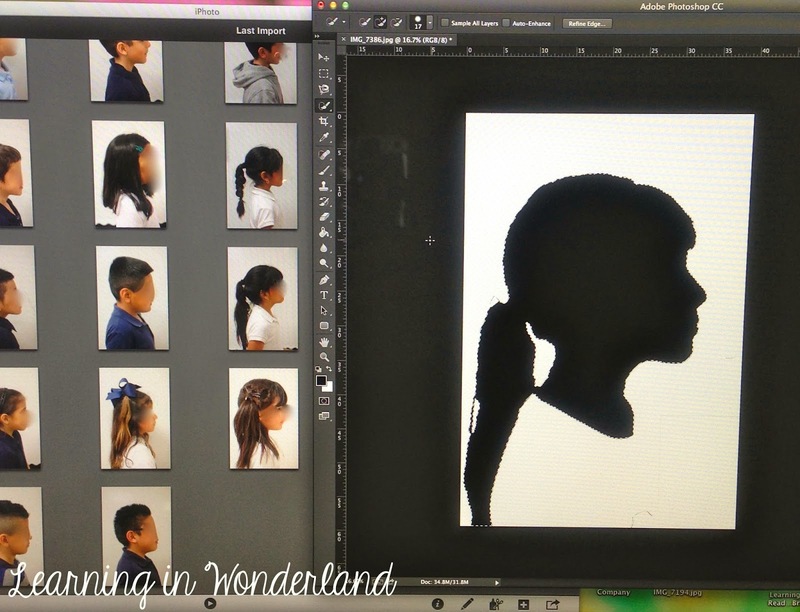 This is how everything looked while I was in the process of turning their profile pictures into silhouettes. I have to admit that when I first started to make them, it took me about 30 minutes to make the first silhouette. Once I got the hang of it, it took about 1 minute per child to complete this! Due to the interest of this project, I created a file that can be used to create this exact project. 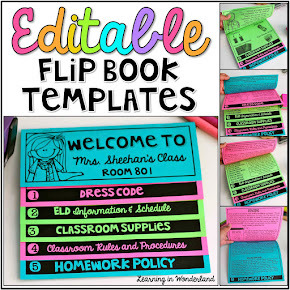 It includes a 10 minute Photoshop Tutorial as well as three editable forms for the students to write on. Please click on the picture to view it in my TpT shop. You can also click on THIS LINK to view it. Then I decided to incorporate pictures into our writing as well! Read Across America Week was a blast in our class. 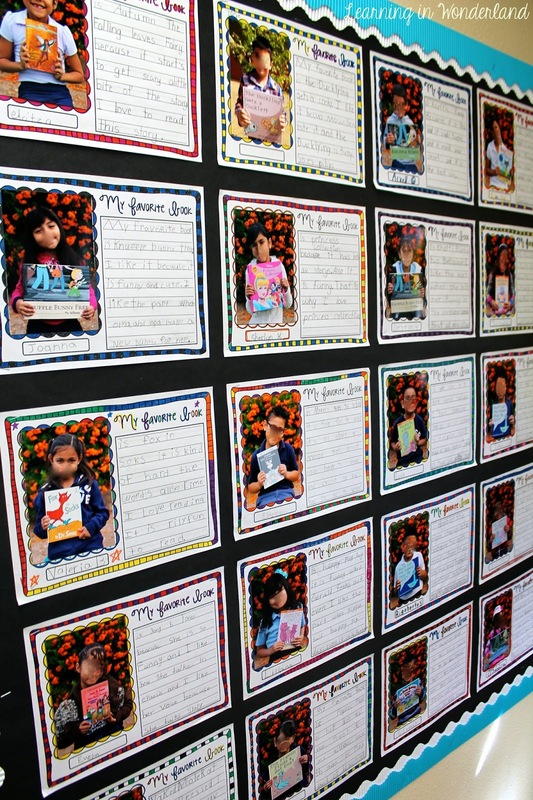 We took pictures with our favorite books and wrote about our favorite books. Mo Willems was by far our favorite author! I was fortunate in finding the perfect spot for us to take pictures behind the preschool building. There were these bushes with pretty orange flowers that were just right for our photo shoot. I had tons of compliments from teachers and excited parents about the kids' projects. You can find the template to create these in my TpT shop HERE. This is such a keepsake for parents, Maribel! What a great idea! Your kiddos writing is so wonderful and I love the favorite book writing too! Pinning away! loveeeeeeee the activity....I must get it done sometime soon!! Any advice on trying to create these on PhotoShop? I was going to ask the same thing as Amanda! Would give us some pointers. I'd love to try this! 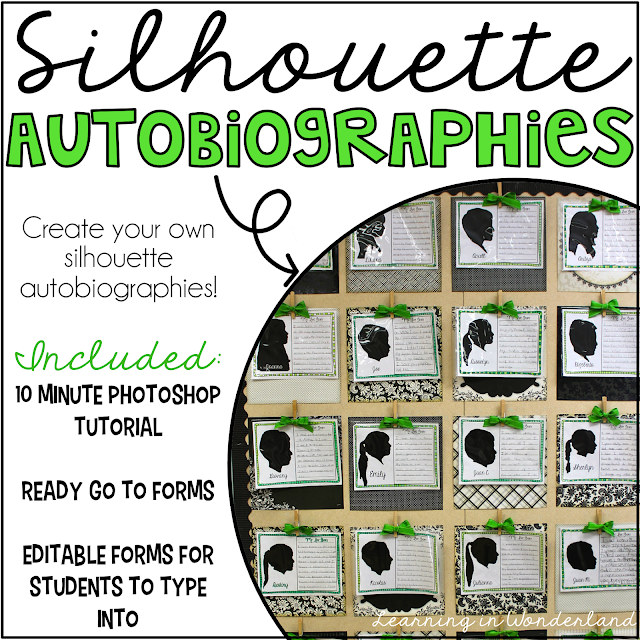 Is the Silhouette Auntobiographies in the Read Across America package? No, it isn't. I've been thinking of a way I could offer it so that people could create these also. Not sure how to go about it yet. Please email me if you get a chance through my 'contact me' tab above. Thanks!